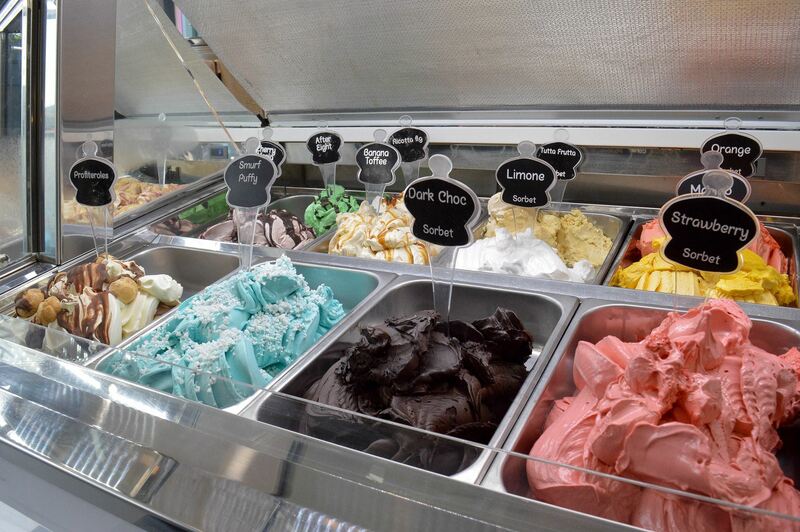 True Gelato, Ballyclare is owned by brothers, Karl and Ryan Wilson. Established in 2017, the inspiration behind each handmade ice cream flavour, freshly made on site, comes from travelling to sunny destinations to taste delicious gelato. They are passionate about creating wonderful artisan ice-creams and sorbets. They are free from additives, preservatives, colourings and palm oil. Flavours include vanilla, chocolate, honeycomb, salted caramel, cherry and bubblegum. They may be Italian-inspired flavours but the ingredients are local where possible including Draynes Farm for the milk and cream. Available to buy from the ice-cream parlour at the Papershop, Ballyclare in cones or tubs. Their events trailer can go across Northern Ireland. Summer Opening Hours- 12 noon-8.30pm. Winter hours open to 6.30pm.